Do you want to achieve financial freedom in 2018? Of course you do! Great ideas make great people, which is why self-made millionaires do not hesitate to devote some time to just thinking. Financially free people consider thinking as a great investment. They spend the time to assess their performance and their life in general, and come up with better plans for the future. Every wealthy person starts with the guidance of a mentor. A mentor is more than just an inspiration. Mentors make sure you don’t accidentally get derailed off the track to success. Find yourself a good mentor—one who can work with you and supplement your skill gaps so you could become someone better next year. Financially free people know better than rely on a single source of income. They’re not satisfied with having only Plan B for their finances. Most of them have at least three sources of income—stock-market investments, real-estate rentals and a part-ownership side business—before making a passive income. Successful people do not let their failures define who they are, nor do they allow their mistakes shape their future. They remain persistent and optimistic—classic trademarks of the wealthy. And because they do not dwell on the downside of things, they are in a better position to spot opportunities and come up with solutions to their challenges. after them. They set their own standards of success instead of letting others set the bar for them. People who work hard to achieve financial freedom usually have a generous spirit. They do not forget how others have helped them reach the top and are willing to pay it forward by helping others achieve success as well. They realize that they can’t achieve lasting success on their own, and so they build their team by helping like-minded individuals realize their potentials. Financially free people know better than to chase other people’s dreams, and that’s what makes them successful. A lot of people make the mistake of letting others decide their lives for them, and they end up going about their daily activities mindlessly. They’re simply going through the motions, wondering why they’re still doing what they do. The wealthy are not content with how they are at present. With this, they are eager to accept feedback from others. They do not fear receiving criticism for their actions and take negative comments positively. Learn to view criticisms as stepping-stones toward your goal instead of stumbling blocks. Take every rejection and negativity in a stride and rise to the challenge they pose. So, who are the real financially free people? Are they simply those who have a lot of cash their bank accounts? No. A financially free life is lived by the principles of success. They are those who do not underestimate the power of daily habits in changing the course of their lives. They acknowledge that financial freedom is not a product of luck but the result of good habits. So let’s go back to the question: Do you have what it takes to be successful in 2018? Of course! Believe in yourself. Happy New Year, everyone. 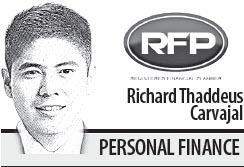 Richard Thaddeus Carvajal is a registered financial planner of RFP Philippines. 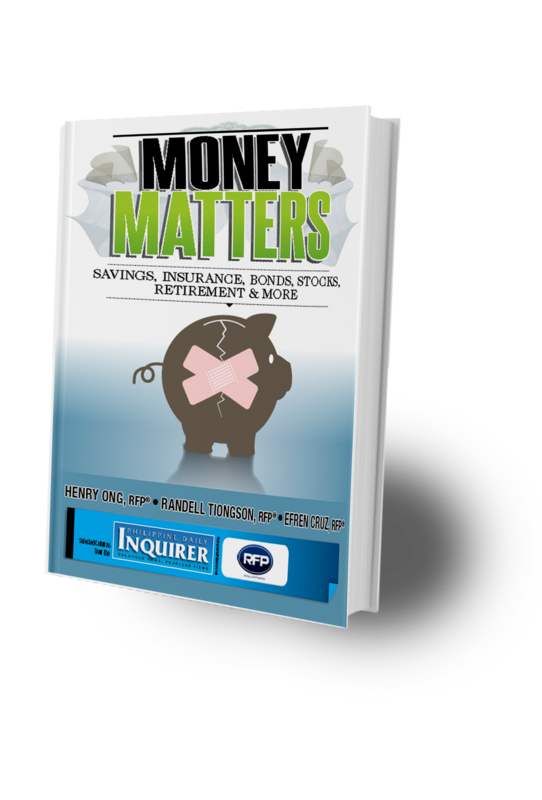 He is also the CEO and president of Philgems Realty Corp. To learn more about personal-financial planning, attend the 67th RFP program this January. To inquire, e-mail info@rfp.ph or text <name><e-mail> <RFP> at 0917-9689774.